How Can You Support Stratford? Stratford depends on the loyalty and generosity of donors to our Annual Giving Fund to sustain and enhance our great school. Tax-deductible donations to the Annual Giving Fund bridge the gap between tuition revenue and the true cost of educating a student. We could not provide the depth and breadth of programs for our children without the generosity of donors who give so that Stratford can maintain, grow and continue to excel in academics, arts, athletics and community service. This year is no exception. We depend on your generous support to provide the best for the students of Stratford Academy. Your gift will make all the difference in what we are able to achieve. Thank you once again for your past support and for your consideration in making Stratford a giving priority this year. Many thanks to all the Stratford parents who help to make our Annual Giving Fund successful. Our goal is to raise $200,000 and post 75% parent participation each year. Pledge forms are available from the Institutional Advancement Office or donors can pledge online at http://www.stratford.org/onlinegiving. 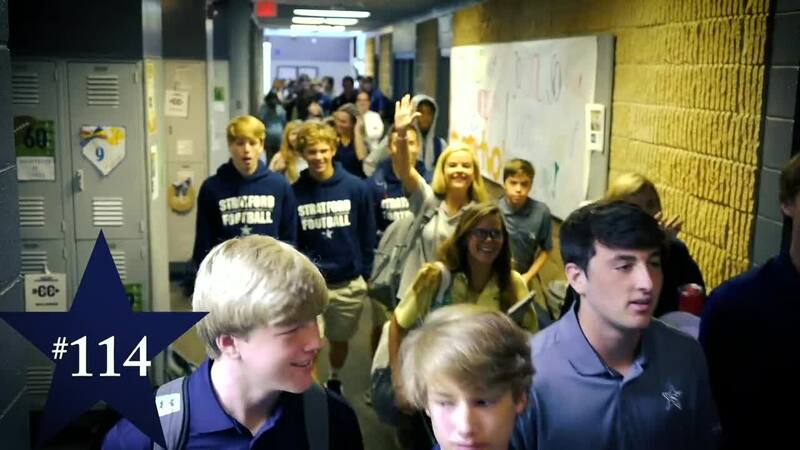 Stratford, like most independent schools across the country, depends on the generosity of parents, alumni, grandparents, parents of alumni, faculty and staff, friends of the school and foundations to provide the extra measure of income needed to provide the best education possible for our students. For more information, contact Kathleen Cook Medlin '88, Director of Institutional Advancement, at kathleen.medlin@stratford.org. The Annual Giving Fund accounts for 3% of the annual operating expenses of the school. The money pays for salaries, supplies, equipment and everyday operating expenses. Aside from tuition income it is the largest source to the annual budget. Annual Giving Fund amounts given over the budgeted amount allow for improvements beyond what is in the annual budget. Your gift to the Annual Giving Fund is a vote of confidence in your school. The money is essential to the operation and continued strength and progress of Stratford. Your participation is a primary factor in whether or not we are able to secure funding from outside sources through grants and foundation gifts. The level of giving is a personal decision for each family. Your gift to Stratford is an investment with enormous returns. You are providing your best for your children and for all the students of Stratford Academy. Your gift of any amount is essential to the success of our school. Why should my gift be unrestricted? Giving an unrestricted gift to our Annual Giving Fund is key to the successful operation of the school. Unrestricted gifts are the first need. Beyond giving an unrestricted gift, many donors make an additional gift directed to a particular department or program that they wish to fund. These gifts are welcome and contribute greatly to the advances made in many areas of school life. Pledges and gifts for the Annual Giving Fund will continue to be received through the close of the fiscal year for Stratford on May 31st. Questions? Call the Institutional Advancement Office at 477-8073 ext. 210 or e-mail kathleen.medlin@stratford.org. ENROLLMENT FOR THE 2019 TAX CREDIT PROGRAM IS JUNE 1-DECEMBER 31, 2018. Since 2008, there is a new Georgia Education Expense Credit that allows taxpayers to take a credit against their Georgia income taxes for amounts contributed to qualifying K-12 student scholarship organizations. In order to use this new program to increase the amount of financial aid Stratford Academy is able to offer families, we are working with the Georgia GOAL Scholarship Program, a state-approved student scholarship organization. Under the new law, individual taxpayers receive a tax credit against their Georgia income tax liability for amounts contributed to the GOAL Scholarship Program up to $1,000 ($2,500 in the case of a married couple filing a joint return). Thus, if a married couple owes $10,000 in Georgia taxes, they can contribute $2,500 to GOAL for scholarships at Stratford and pay the remaining $7,500 to the state treasury. Business entities can also receive a tax credit for amounts contributed to the GOAL Scholarship Program. C-corporations are eligible for up to 75% of their Georgia income tax liability, while other entities such as S-corporations, LLCs, LLPs, etc... are able to redirect up to $10,000 in tax liability. In addition, amounts contributed to GOAL are deductible for federal income tax purposes. The GOAL Scholarship Program uses the contributions to fund K-12 scholarships for public school children who desire to attend private schools. The scholarships are also available for students who are eligible to enter kindergarten. Importantly, donors to GOAL can designate that their contributions be used in support of scholarships at Stratford Academy. View Stratford Academy's 2016-2017 GOAL Good Stewardship Report. Complete the paperless application available at http://www.goalscholarship.org/for_donors/page/goal-paperless-process. On January 1, 2019, when the new tax year begins, Georgia GOAL will submit your application which has been held in queue. When your designation is complete, Georgia GOAL will send you the necessary information for your tax records. Participants are encouraged to file applications immediately. The program closes once the cap is met. Experts believe this will be on January 1, 2019. To learn all of the details about the new law, the process for pre-qualifying and making your contributions, and the GOAL Scholarship Program, please visit the GOAL website at www.goalscholarship.org or contact Kathleen Medlin in the Stratford Institutional Advancement Office at kathleen.medlin@stratford.org or 478-477-8073 ext. 210. For admissions criteria or scholarship administration, please contact Lori Palmer, Director of Admissions, at lori.palmer@stratford.org or 478-477-8073 x203. Stratford supporters can re-enroll for the new year from August 1-31. Register your Kroger Plus card at www.krogercommunityrewards.com and have a portion of your purchases benefit Stratford. This is a great program for Stratford families and supporters in middle Georgia to participate. Sho w the card at any Publix prior to your groceries or prescriptions being scanned. Up to 3% of the total sales can be earned. If you need additional cards, please contact Karen McCue in the Institutional Advancement Office at karen.mccue@stratford.org. Clip- Clip Box Top coupons from hundreds of participating products and send them to school. Box Tops coupons are worth 10¢ each when our school redeems them from Box Tops for Education. There are collection boxes located in the Preschool, Lower School, Middle School, Upper School and Front Lobby areas. Shop - Shop at your favorite online stores through the Box Tops MarketplaceSM (btfe.com/marketplace). Up to 8% of each qualifying purchase is automatically donated to Stratford. There is no additional cost to your purchase and many exclusive deals and discounts can be found! This is great for families who enjoy shopping online. Buy books - Purchase books online at Barnes & Noble through the Box Tops Reading RoomSM. Our school will receive 6% of your new book purchases and 3% of all other online purchases. This year, our Lower School classes will have a Box Tops Challenge. Which class can bring in the most Box Tops? What's the incentive? Stratford Lower School students want to bring in enough Box Tops to purchase a gift that every Stratford family will enjoy. Look for details to follow or contact the Stratford Advancement Office at 477-8073 if you have questions. 5% of quali fying purchases made between July 21 and September 30 will be credited toward the school of your choice (please mention Stratford!). The credits will be used for the purchase of school supplies at Office Depot. Apply for a Target Guest Card credit card and 1% of your purchases at Target will benefit Stratford. To inquire about Target's Take Charge of Education programs, call 800-316-6142 or visit a local Target store to apply. We’re pleased to share some exciting news about a new fundraising program for Stratford Academy. It’s called “scrip”, and it’s the fundraising program that works while you shop. Scrip is simply a word that means “substitute money” – in other words, scrip is gift certificates from national and local retailers. They’re the same gift certificates that you buy at the store. Many popular retailers participate in our scrip program including Publix, Fresh Market, Sam’s Club/Walmart, Target, Barnes & Noble, Amazon.com, iTunes, The Gap, Marriott, and many, many others. Visit www.shopwithscrip.com for a full listing of the thousands of retailers who participate. The retailer gets cash up front and repeat business… You get a powerful fundraising alternative that involves no selling… Our school gets a regular source of revenue. The beauty of scrip is that you put your regular household shopping dollars to work. You earn money for our school without spending a single additional penny. Just spend your regular shopping dollars with scrip at the stores that participate in the scrip program! And scrip can be used for just about any household purchase including food, clothing, entertainment, gasoline and even dining out. With a parent base of 670+ families, the potential for Scrip success is tremendous. The Stratford scrip program promises to be a simple and effective fundraising program. Feel free to contact coordinator Karen McCue at karen.mccue@stratford.org or 478-477-8073 x210 with questions. There are several scrip providers that the Advancement Office keeps on hand to be sold on a "cash and carry" basis. These are: Fresh Market, Publix, Walmart/Sam's Club and Target. They are available in different denominations. To purchase these scrips, please contact the Stratford Advancement Office. 1. Register your family in the Scrips Program at www.shopwithscrip.com. Look for the green box with family sign-up noted. Contact karen.mccue@stratford.org for the Stratford school code. Or, print this form and return to the Stratford Advancement Office. 2. Look over the thousands of scrips available through the https://www.shopwithscrip.com/Shop/default.aspx website. Either place your order for scrips online or contact the scrips coordinator. Weekly orders for physical gift cards should be placed by 12 noon on Tuesdays. Cards will be available after 12 noon on Thursdays. 3. Review all the ways that shopping with scrips can be easy - there's Presto Pay, ScripNow and Reload. If you would like to extend your support of Stratford Academy to make a lasting impact, there are several gift arrangements to choose from. Whether you would like to put your donation to work today or benefit us after your lifetime, you can find a charitable plan that lets you provide for your family and support Stratford. Many donors find gifts of stock transfer as a tax-wise way to support Stratford Academy. Since our organization is a 501(c)(3) non-profit, individuals may not incur tax liabilities for gifting shares of stock to our school. Donors should initiate a stock transfer with their own financial manager or institution. Print the gifts of stock delivery instruction form here. are donated according to terms that permit the School to apply the gift to a related purpose in the event that the designated purpose is no longer practical, necessary, or able to be performed. Gifts-in-kind are accepted on a case-by-case basis, the primary criterion being that the gifts further the mission of Stratford Academy. Real property, such as land, buildings, rights and easements, must have a clear record and marketable title with verification provided by the donor. The School will review and evaluate such factors as sale and holding costs, current and future market conditions, encumbrances, liabilities, title, use or other restrictions and any potential environmental issues before accepting real property gifts. The School will typically sell these gifts shortly after acceptance. Gifts of tangible personal property (artwork, vehicles, computer equipment, books, collections, jewelry, food and service for events, library books, CDs/DVDs, furniture and rugs for classrooms, common meeting places and living areas, maintenance vehicles, trees and other plantings. etc.) will be reviewed on a case-by-case basis. Gifts that are not used by the School for educational purposes will be disposed of in a timely and appropriate manner. 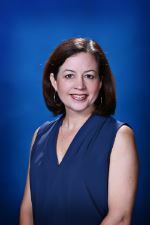 Questions or information about any of these gift types or policies should be directed to Kathleen Medlin, Director of Advancement, at kathleen.medlin@stratford.org or 478-477-8073 ext. 210. 1) Only accept gifts that are for the bona fide benefit of the School. 2) Never accept gifts or contributions that imply a quid pro quo of favor to the donor. 3) Coordinate all development and fundraising activities through the Institutional Advancement office to avoid repeated asks for various causes that could potentially harass our student families. 4) Count gifts to the School according to the following policies to eliminate ambiguity and the potential burden which School Administrators or campaign volunteers may encounter in the process of soliciting or accepting gifts. Any questions which arise and are not covered in this policy will be addressed by the Institutional Advancement and Finance Committees. a) Monetary Gifts: All cash gifts are accepted, assuming there are no terms that do not meet campaign criteria. Cash donations may be made as one payment, or as a pledge for several payments throughout the duration of the campaign. In the case of pledges, a signed capital campaign pledge form must accompany the gift. Verbal promises are not to be counted in campaign totals. Pledges may be paid monthly, quarterly or annually, and may continue over a period defined in the campaign. b) Realized Bequests: Any bequest received during the campaign period, unless otherwise restricted, will be counted toward the campaign goal according to the amount actually received. c) Gifts of Marketable Securities: All readily marketable securities are accepted and immediately sold by the School, unless the sale would depress the price of the stock, by request of the donor or by decision of the Board Finance Committee. In these cases, the sale of the stock will be delayed until a future date. The value of the gift will be determined by the average high and low market value on the date the donor relinquished control of the asset to the School. 2) The security is ultimately convertible to cash within a reasonable time. 3) Ownership of the securities will not create a liability to the School. e) Gifts of Real and Personal Property: All gifts of property (land, houses, paintings, antiques, equipment, rare books, etc.) are to be reviewed, and acceptance of such gifts approved by the Finance Committee or a specially designated committee of the capital campaign prior to acceptance. If the value of the gift exceeds $5,000, it must have an independent and certified appraisal provided by the donor that establishes the fair market value at the time that the School receives the gift. Property valued less than $5,000 may have the value determined by the donor. Gifts of real estate must be accompanied by a satisfactory environmental impact report, provided by the donor and acceptable by the School. f) Gifts of property must be in “usable and/or saleable condition” and not have associated liabilities, as deemed so by the School. After acceptance, the property is immediately put to use or sold by the School. When the donated property is accompanied by an appraisal, the School may, at the donor’s request, wait up to one year to receive an offer at the appraised value. By law, the School must notify the IRS within three years of the sale of property in excess of $5,000. g) Tangible In-Kind Gifts: All in-kind gifts are reviewed by the Head of School prior to acceptance. In-kind gifts must be eligible for a charitable gift deduction in accordance with current IRS standards, and reported at the fair market value placed on them by an independent, expert appraiser. Only items such as equipment, artworks, and the like, that would have been purchased by the School in absence of the gift during the period of the campaign, may be accepted and counted toward the campaign. Gifts not used may be accepted as personal property above and are to be sold immediately. h) Intangible In-Kind Gifts: All in-kind gifts of labor shall be reviewed by the Head of School prior to acceptance. Such in-kind gifts must be eligible for a charitable gift deduction in accordance with current IRS standards. It shall be the preference of the School to have the donor invoice the School for the rendered services, the School pays the invoice, and then the donor makes a cash contribution of equal value to the School. Only services that would have been purchased by the School in absence of the gift during the period of the campaign may be accepted and counted toward the campaign. i) Charitable Remainder Trusts and Gifts Annuities: Gifts made to establish charitable remainder trusts and gifts annuities are counted as endowment gifts at fair market value of the assets given, discounted to present value on an actuarial basis. All trusts and annuities are reviewed by the Finance Committee or a specially designated committee of the capital campaign. When accepted, the gift must be irrevocable. j) Charitable Lead Trust: All trusts are reviewed by the Finance Committee, or a specially designated committee of the capital campaign. If accepted, the income received from the charitable lead trust during the campaign period, or during the pledge period is recognized as a gift to the campaign. k) Trusts Administered by Others: Only the fair market value of assets placed in trust during the period of the campaign, to which the School has an irrevocable right to all or predetermined portion of the trust’s income, is reported and recognized in campaign totals. 6) The gift of a stated amount of cash will be valued at present value, in accordance with accounting procedures. m) Life Insurance: If a gift of life insurance is received, with no specific instructions from the donor, the Finance Committee will determine whether to surrender the policy for its cash value or maintain it in force. If the policy is surrendered for cash, proceeds will be credited to the capital campaign. If the policy is maintained in force, the face value of the policy will be counted in a deferred gift category of the capital campaign. 1) If the donor requests that the policy not be cashed, then the face value of the policy will be counted in a deferred gift category of the capital campaign. 2) A gift of non-paid-up life insurance will be treated the same as above, however, there must be adequate financial guarantees from the donor to assure future policy premiums will be paid until such time as the policy becomes a paid-up policy. 5) Establish and maintain a Memorial and Honorarium Fund to allow donors to make an unrestricted gift to the School in memory or in honor of an individual. Memorial and Honorarium gifts received by Stratford which are not designated for a specific department of the School will be placed in the Stratford Endowment Fund. The transfer for Memorial and Honorarium Funds to the Stratford Endowment Fund will occur at the close of each fiscal year. 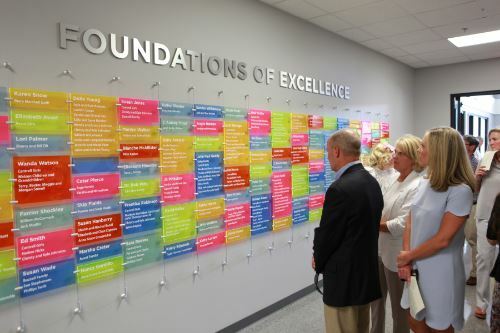 Donors will be recognized in the Annual Fund Report published by the School. a) The named fund is greater than $25,000. b) Any designated purpose is in keeping with the School’s Core Purpose and Core Values. c) The donor does not set onerous restrictions on the fund’s use. d) There are no restrictions placed on the fund’s investment criteria. 7) Not permit any outside organization to solicit Stratford students, parents, faculty, or administrators in the name of Stratford Academy.